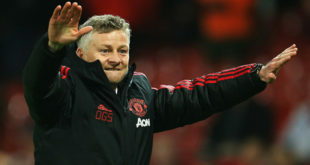 United have gone seven games without a clean sheet and that must be a concern ahead of the visit of a brilliant Barca side, who are unbeaten in 16 matches in all competitions. It will come as no surprise to see that Lionel Messi has been the talisman for the Catalan giants as he has scored 18 goals during that 16-match unbeaten run. With that in mind, the score-win double of Messi to score in a Barcelona win is available at 17/10. It looks a great bet, particularly when you consider the fact United have won only one of their four home Champions League games this term. Wednesday night isn’t all about the ‘Theatre of Dreams’ though as Ajax take on Juventus. The Dutch outfit produced the performance of the tournament so far to defeat Real Madrid in the previous round and we are surprised to see that they are as big as 5/2 to win the first leg of this tie against Juventus, who are sweating on the fitness of Cristiano Ronaldo. 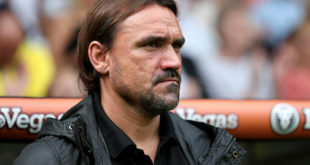 Championship leaders Norwich are odds-on to beat Reading on Wednesday night and they are the first pick for our treble. Birmingham received a boost with their win over Leeds at the weekend and they take on Sheffield United, who have seen six of their last seven league games dip under 2.5 goals. Furthermore, the Blades have kept eight clean sheets in their past nine outings! Our Championship treble is rounded off by a win for Hull as they bid to extend their unbeaten home win to 12 league matches against lowly Wigan. Today’s nap of the day is Nicky Henderson’s Raising The Bar, who runs in the 5.25 at Warwick. The 7-year-old returned from a long lay-off in February and has impressed in a couple of runs at Sandown and Fakenham respectively, and he is tipped to win today.